these orders were subsequently cancelled. 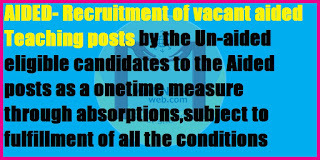 (4) Where there is a feeder category for promotion, the vacant aided posts shall be fill in the ratio of 2:1 i.e 1st and 2nd posts by promotion and 3rd by direct recruitment/absorption. (5) The absorptions shall be made after thorough verification of records by the Competent Authority. (6) These guidelines are applicable for teachers already working in unaided (approved) posts as on 23.09.2002 and being continued till today (30.06.2017) in un-aided post. 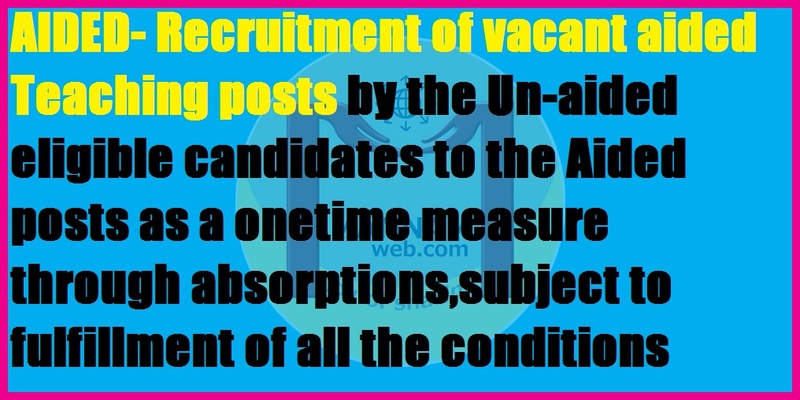 (7) This concession is only for one time measure and there shall be no absorptions from unaided (approved) to aided posts in future.